The Perth Mint is the oldest and most prestigious operating mint in Australia, manufacturing both gold and silver coins. Being officially opened in June 1899 as one of the three branches of the Royal London Mint, the Perth Mint was supplying Australia with its local currency. Back in 19th century, Australian currency was produced by locally mining precious metals, then shipping them to Great Britain to be refined and processed by the Royal London Mint and then shipped back to be distributed for circulation in Australia. This arduous and costly practice inspired the British government to build several mints in Melbourne, Sydney, and Perth. The last one remained under the Britannic ownership until 1970, passing unto the Government of Western Australia and in 1987 under the establishment of the Gold Corporation. The Perth Mint produces impressive Australian Silver coins in many sizes of the .999 finest silver content. 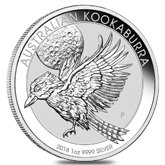 The most popular Australian silver pieces from Perth Mint are the Australian Koala coin series, the Australian Lunar coin series, and the Kookaburra coin series. 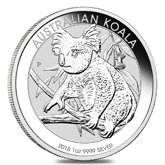 The Australian silver coin of Koala series was first released in 2007. The koalas featured on each of these beautiful coins have incredibly detailed and different depictions: from a caring young koala walking on a branch to the one nibbling on a leaf of a eucalyptus tree. 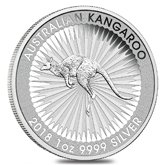 The Koala Silver Series is available in smaller weight options including 1 oz., 2 oz. and 10 oz. up to kg offerings. The first Lunar Perth Mint Silver coin was released in 1999 as a part of the twelve-year release of this series. The collection was inspired by the Chinese Lunar Calendar and its twelve zodiac symbols. 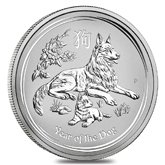 Only nine designs of these silver coins are available, featuring the pig, the dog, the rooster, the monkey, the goat, the horse, the snake, the dragon and the rabbit. 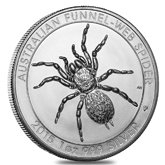 Australian Lunar Silver coins are available in sizes between 1/2 oz. and 1 kg. The Australian Kookaburra Silver Coin Series made its debut in 1990. 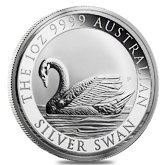 The coin’s design features a depiction of this unique Australian wildlife bird that possesses the most distinct calls which can be heard from a very large distance. The designs of this image represent this songbird in various settings, from flying in the skies to living in the gum trees. 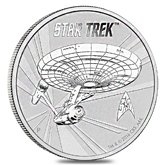 The series was issued in 1 oz., 2oz., 10 oz. and 1 kg sizes and $1, $2, $10 and $30 face values in limited mintages. 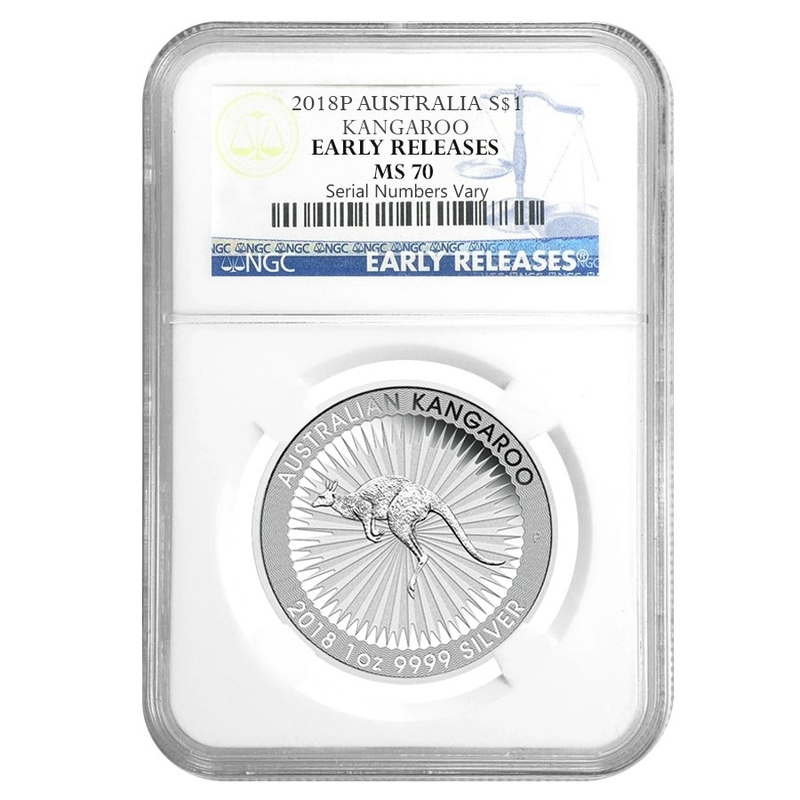 The masterful craftsmanship and striking designs of the Australian Silver Coins make them one of the most sought after bullion pieces in the world. Bullion Exchanges is pleased to offer these exclusive Perth Mint Silver Coins. If you have any questions please don’t hesitate to contact us at 800.852.6884, send us a message at info@bullionexchanges.com or connect with us via our live web chat.